If this is your first time traveling with us, be sure to fill out the Traveler Registration Form by clicking on the button below. Thank you for registering for your premier vacation. A travel professional will contact you if additional information is required. If you have any questions or would like additional details in reference to your travel plans, please email us at yourpremiertravel@gmail.com or call us at +1 (248) 295-2715.
the confidentiality and safety of all personal information entered on this website. For your deposit and any additional payments, you can call our office to process your credit or debit card. You can make your payment just like you pay your bills. CONFIRM THE CORRECT SPELLING OF ALL PASSENGER’S NAMES. Remember that prices are not guaranteed until your deposits have been made. All reservations require a non-refundable, non-transferable deposit not to exceed $300. A group is considered so when 10+ travelers pay a deposit, which in some cases may delay the processing of your deposit. If at any time the group falls below the 10 passenger minimum requirement, the price is subject to increase. 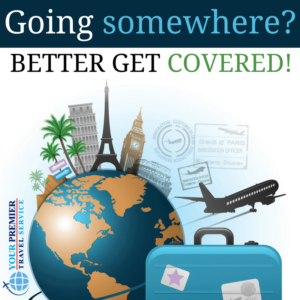 Travel Insurance is available and recommended for all reservations.